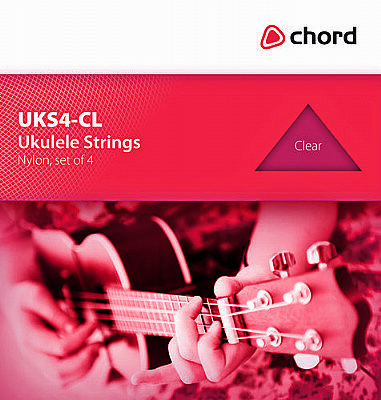 Chord Soprano ukulele with linden top, back, sides and neck with 12 fret fingerboard. Finish is stained or solid colour and fitted with nylon strings, tuned via 4 geared machine-heads. A super portable way to bring a summer vibe to your next barbeque sing-a-long! 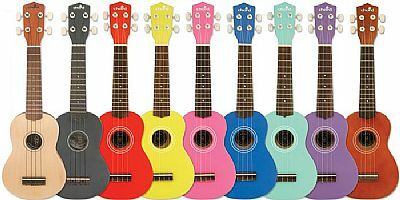 Available in different colours, these Hawaiian style Ukeleles (Ukulele) feature geared machine heads to keep you in tune longer. They'll bring a smile to everyone's face. Blue, Black or Pink - please specify when ordering.